Eclipse is delighted to have been shortlisted in the ‘Best Awards Event Production (on the night)’ category of the 2019 Awards Awards for its work on the Global Energy Awards. The creative event production company is one of five finalists within the award category which is designed to honour innovative and novel approaches to event production. 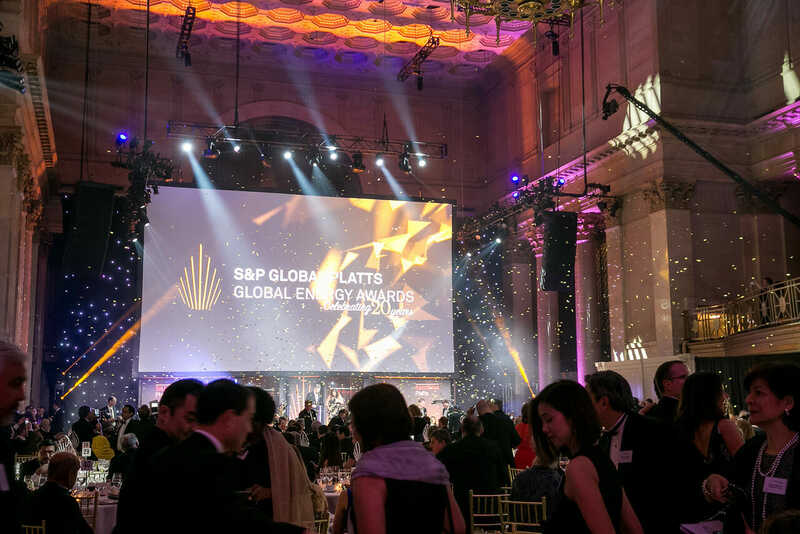 Eclipse has produced the Global Energy Awards, run by S&P Global Platts, for 20 years and entered its 20th anniversary event in December 2018 as a prime example of its awe-inspiring approach to innovative event production. Winners for all 11 award categories will be revealed at the Awards Awards 2019 on Friday 17 May at etc.venues 133 Houndsditch. As well as making the shortlist in the Best Awards Event Production (on the night) category, Eclipse is a proud sponsor of the ‘Best Longstanding Award’ category, demonstrating its full support to celebrating the importance of continuity within the events industry.